Product /Top page | Headspring Inc.
Power electronics (Power Elec.) is a technology to efficiently convert electric energy. 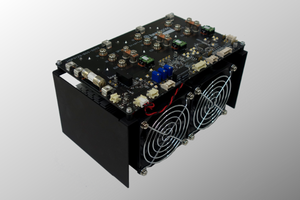 Inverters and other power electronics equipment are widely used in electrical products, industrial equipment, railroads, and electric cars to contribute to energy saving and higher efficiency. 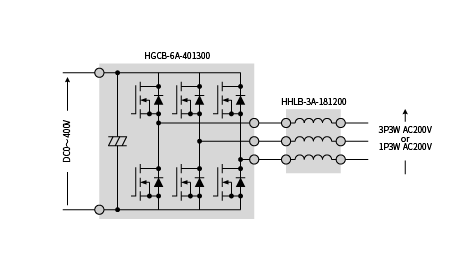 On the other hand, the required specifications of power electronics equipment differ greatly according to the target application; therefore, the equipment is developed with full customization for each product. 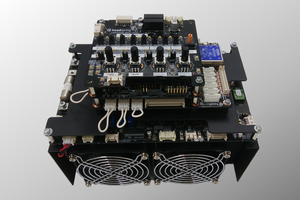 Because of the rapid spread of power electronics technology in recent years, the development of diverse products in a short period of time is required. Headspring products are developed to achieve power electronics equipment through a combination of standard parts and minor customizations. It is thereby possible to minimize the development period and the costs. Our lineup of products match each development phase from R&D to mass- production. Complement the functions and enhance the performance of experimental equipment with simple, customizable functions and diverse products. The development platform of Headspring provides development and experimental hardware or software for educational institutions or research and development facilities. Since products with simple functions divided by elements necessary for power electronics equipment are available, customers can construct facilities complemented by the necessary functions for research and development at low cost. The facilities can also be used for testing equipment in advanced research and development requiring high performance, such as power circuits equipped with next-generation power semiconductors and power devices, high speed general-purpose controllers equipped with microcomputers and FPGA. Furthermore, the following features are available. General-purpose and high-density functions, flexible production volume, high-speed development, and versatile, high-efficiency commercialization. Headspring standard modules consist of the hardware and software for prototyping or mass- production embedding for the product development and system product sectors. 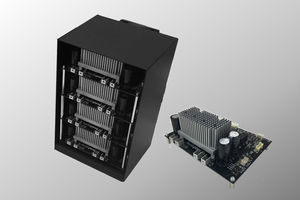 As the power converter inside power electronics equipment, all the necessary functions are fully provided and are compliant with current standards; therefore, we can develop products with minor customizations and minor additional tests in a short period. Since we accept flexible production volumes, such as small production of general-purpose modules, different products can be developed efficiently. Furthermore, they have the following features. 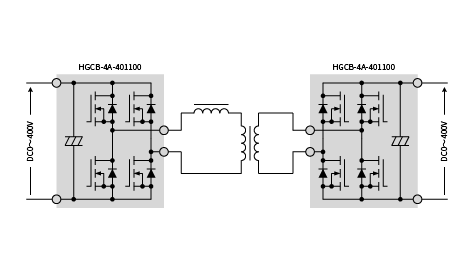 Can be used as bi-directional DC-AC converter. 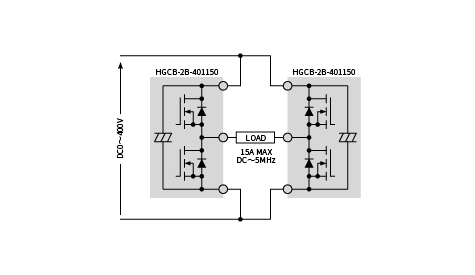 Unlike an ordinary DCDC converter, it is capable to perform an isolated back-boost operation. 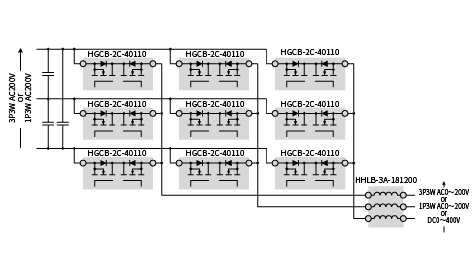 Can be used as multi level converter. It is suitable for control method development, motor driver replacement, etc. 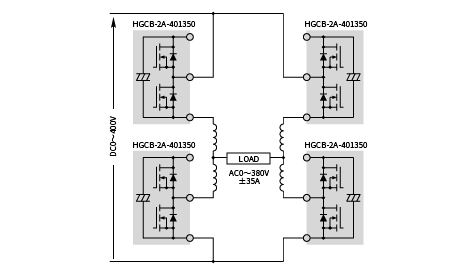 Can be used as a bidirectional ACAC converter. It is suitable for control method development and incorporation of experimental equipment.